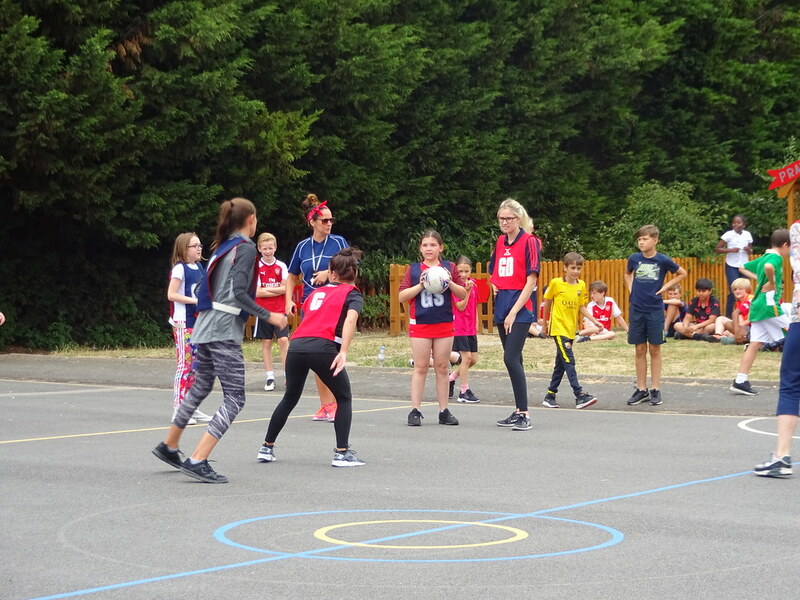 On Friday 20th July, we had a ‘Sports Mufi Day’ organised by Ella Davenport and Isabella Osmani in Year 6 to raise money for the Shooting Star Children’s Hospice. 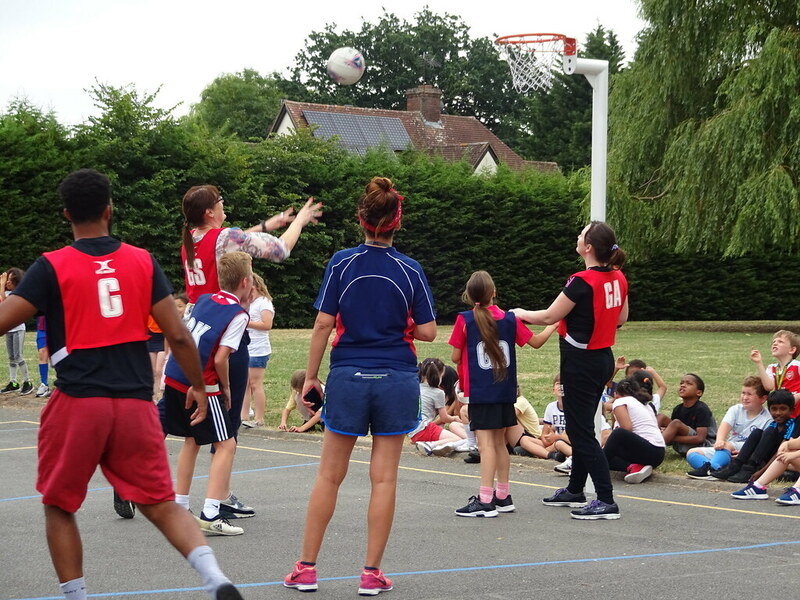 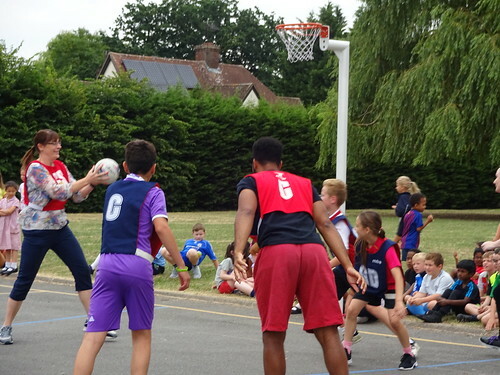 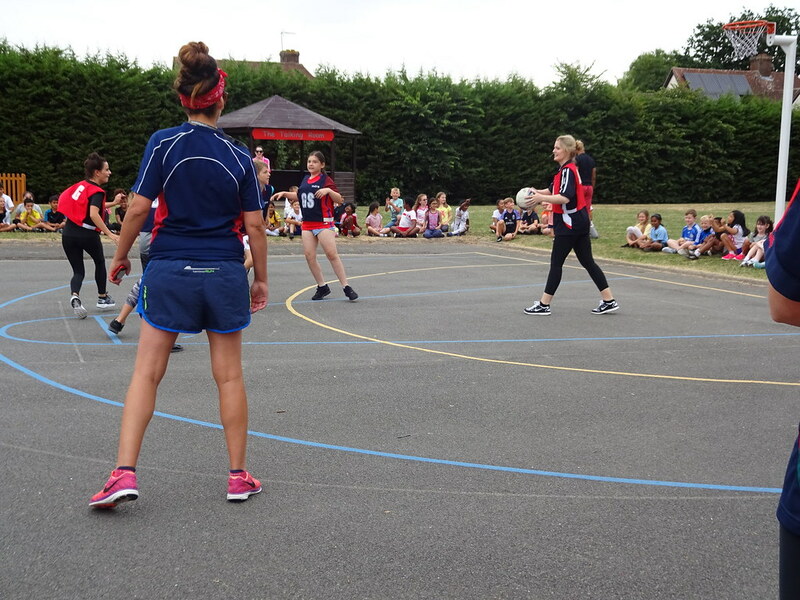 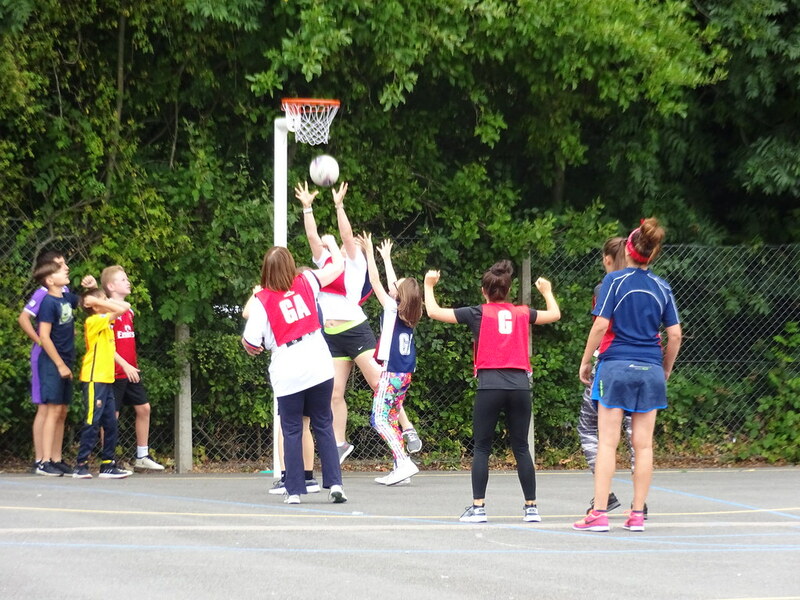 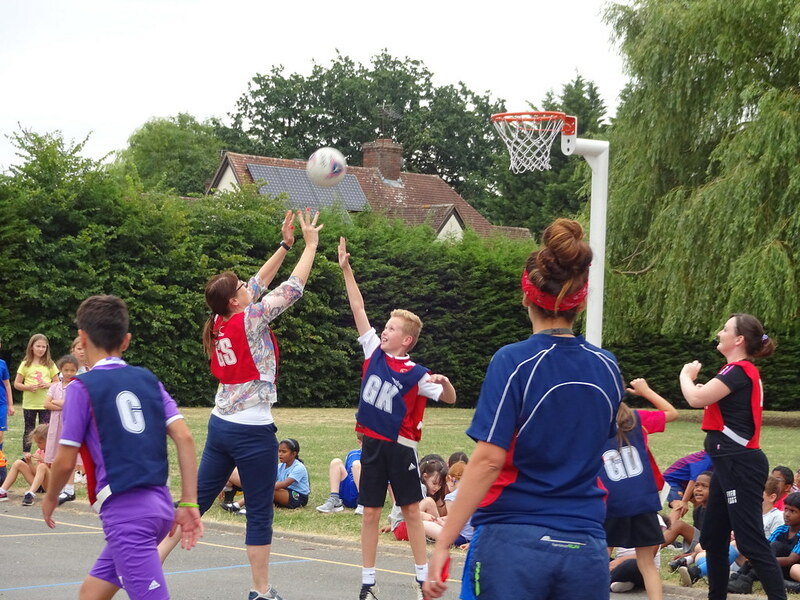 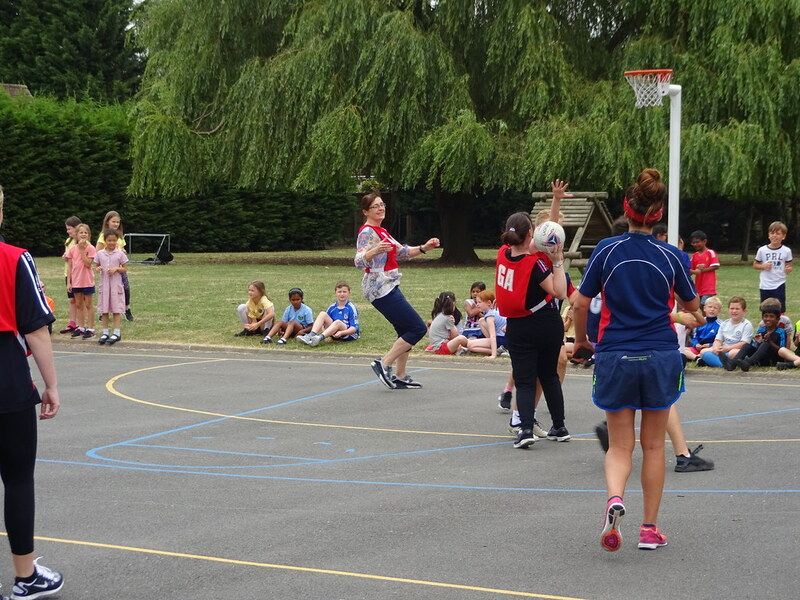 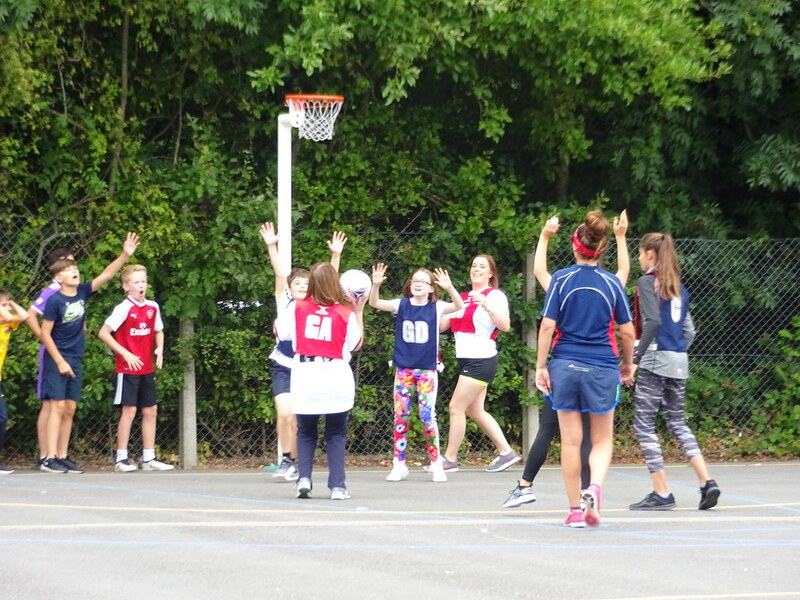 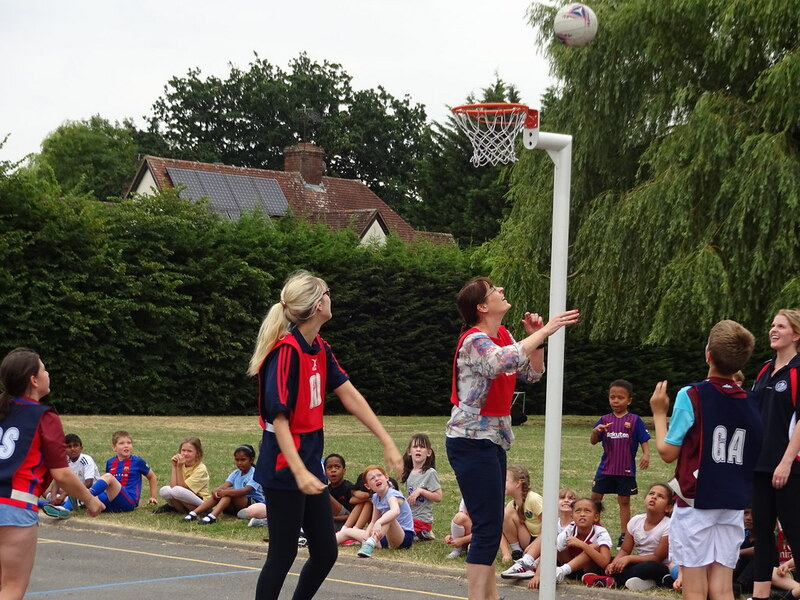 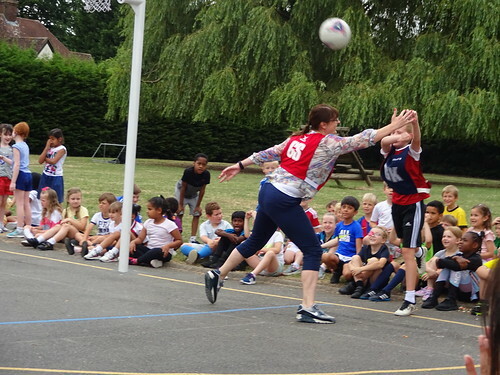 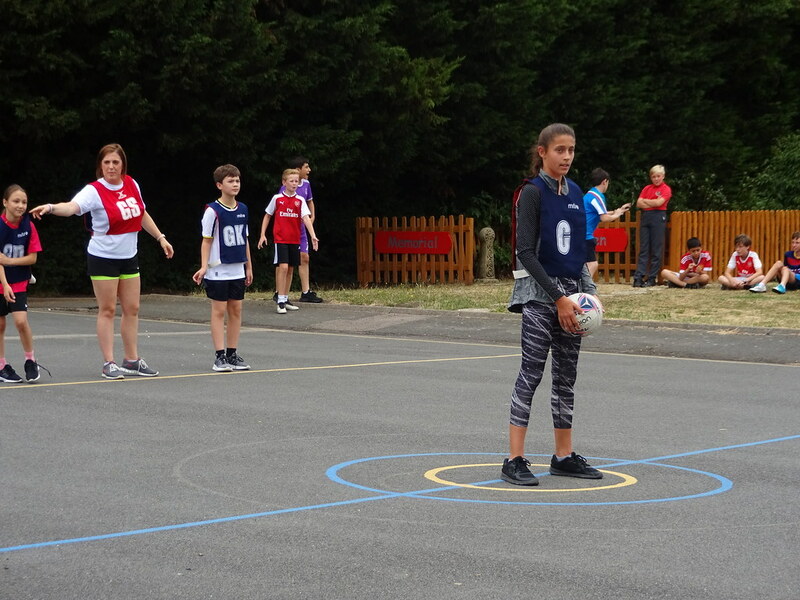 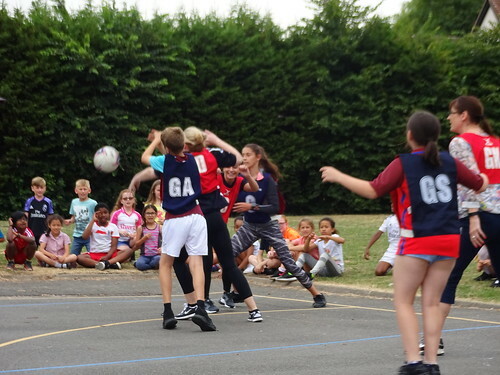 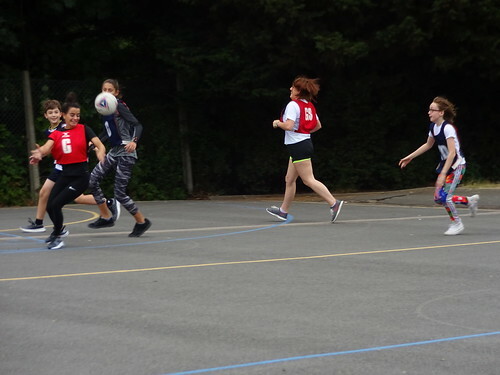 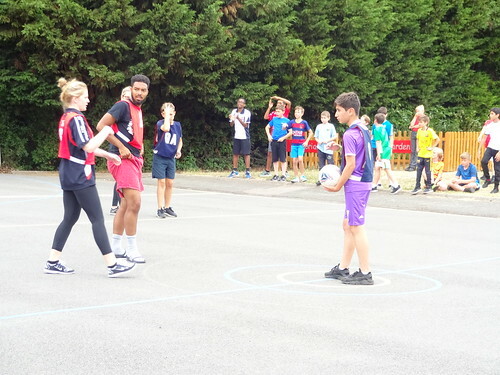 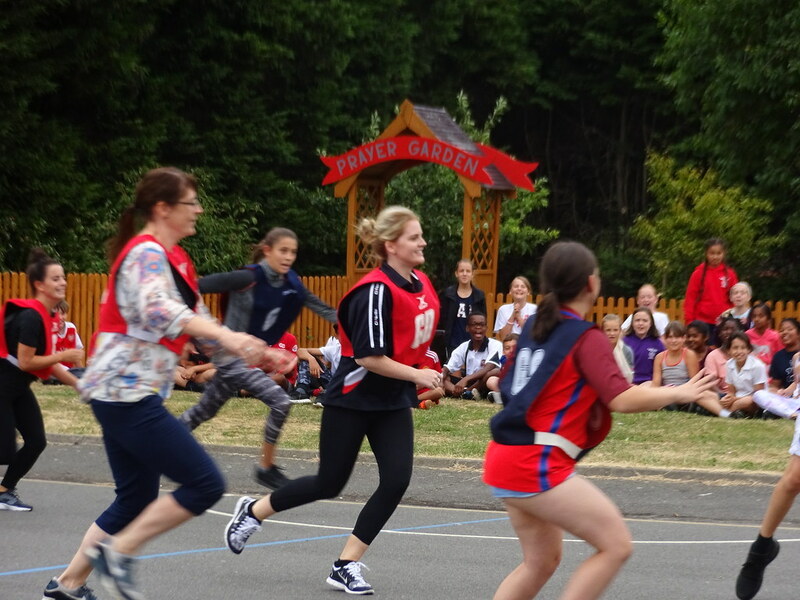 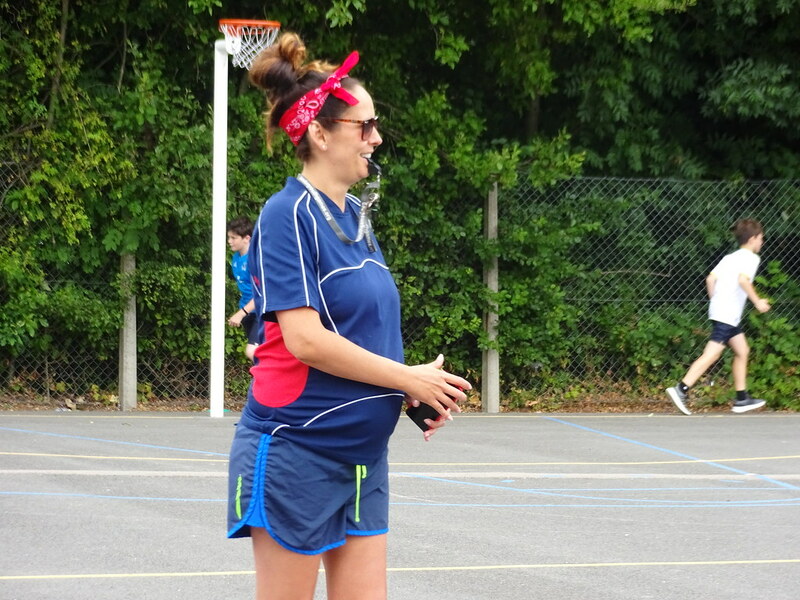 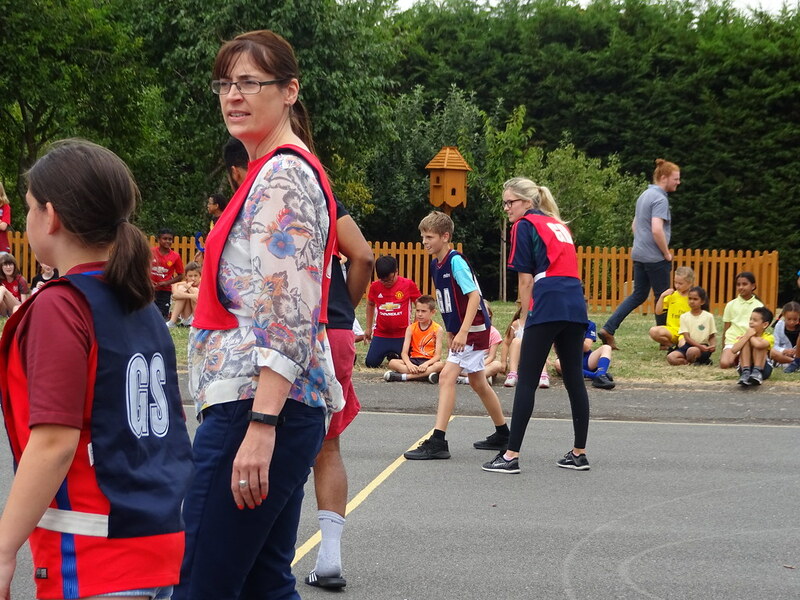 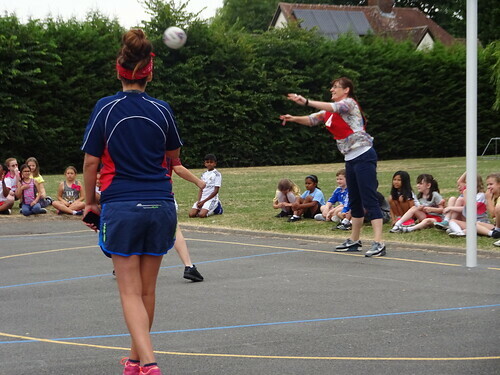 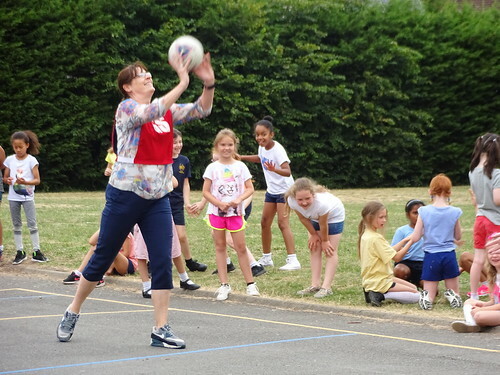 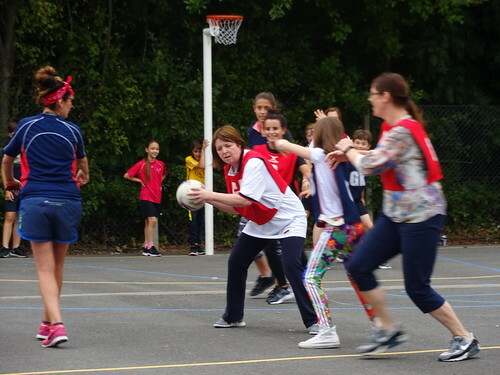 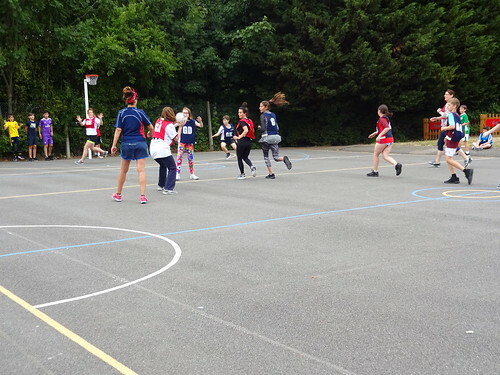 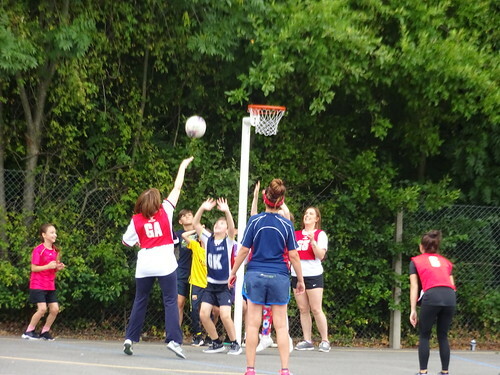 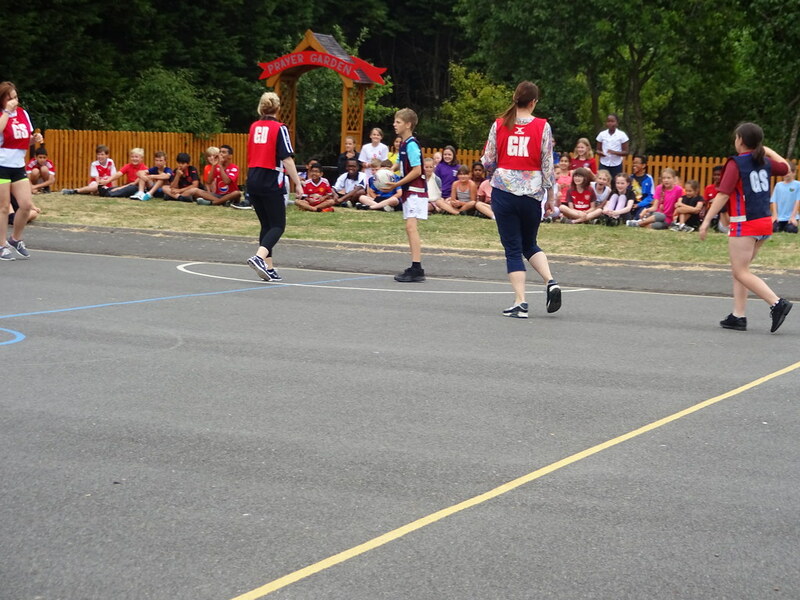 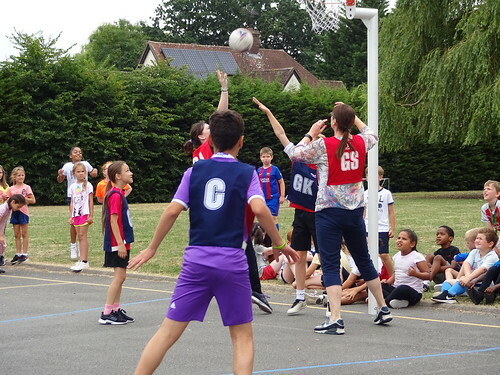 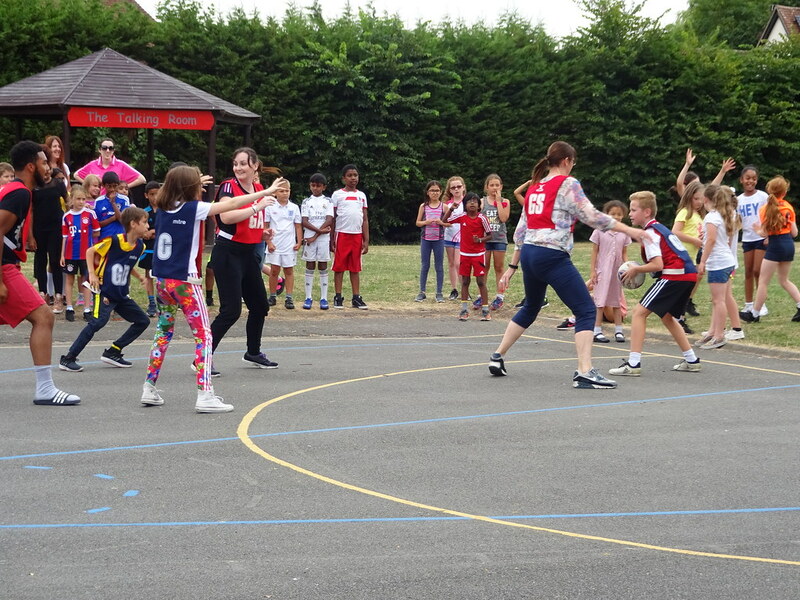 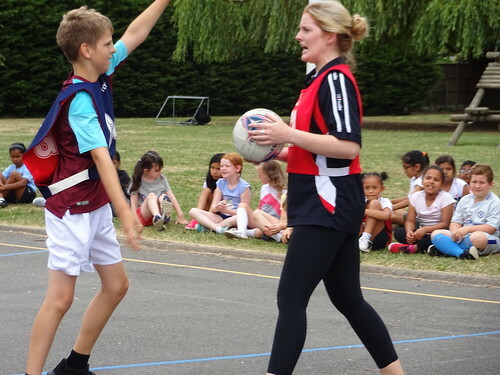 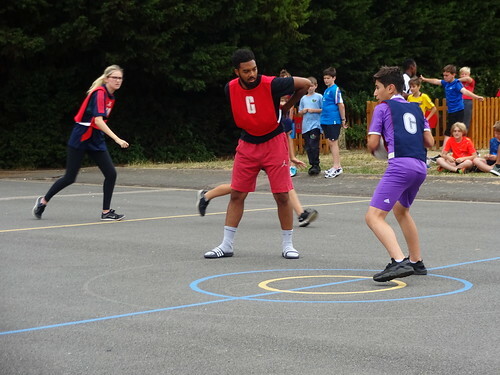 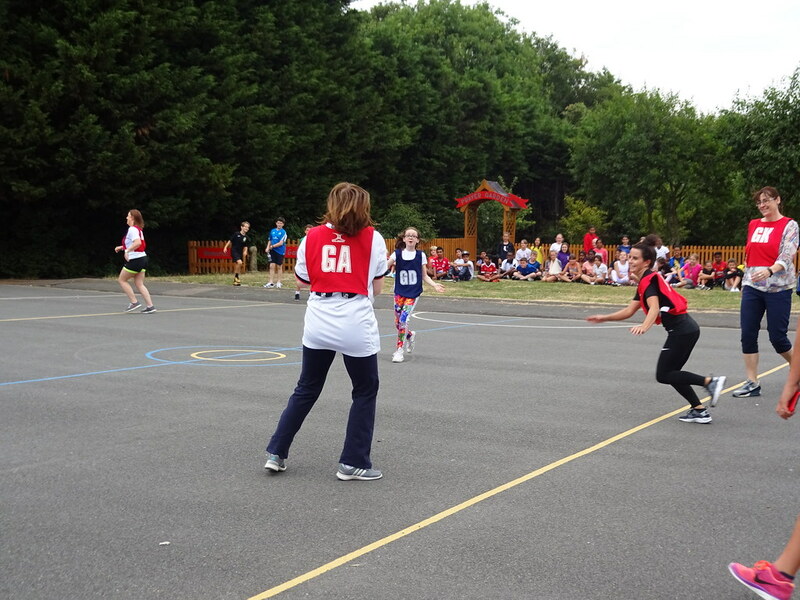 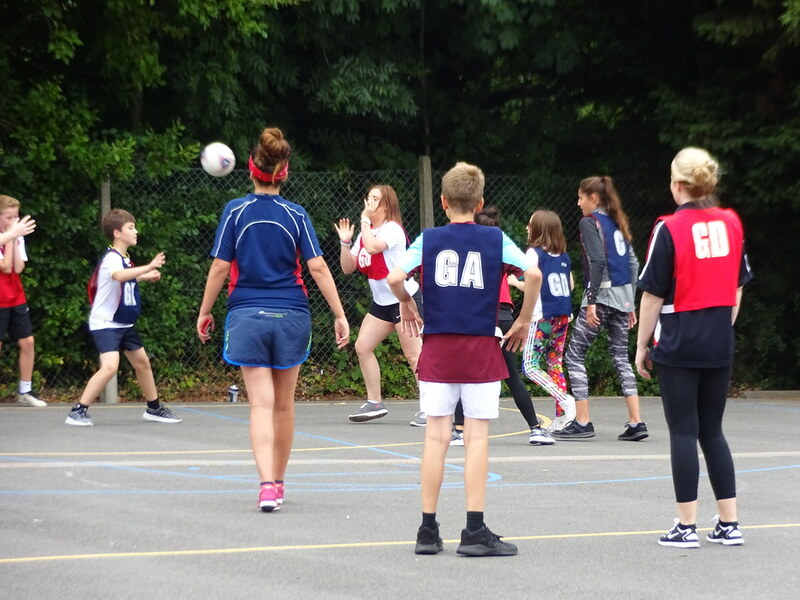 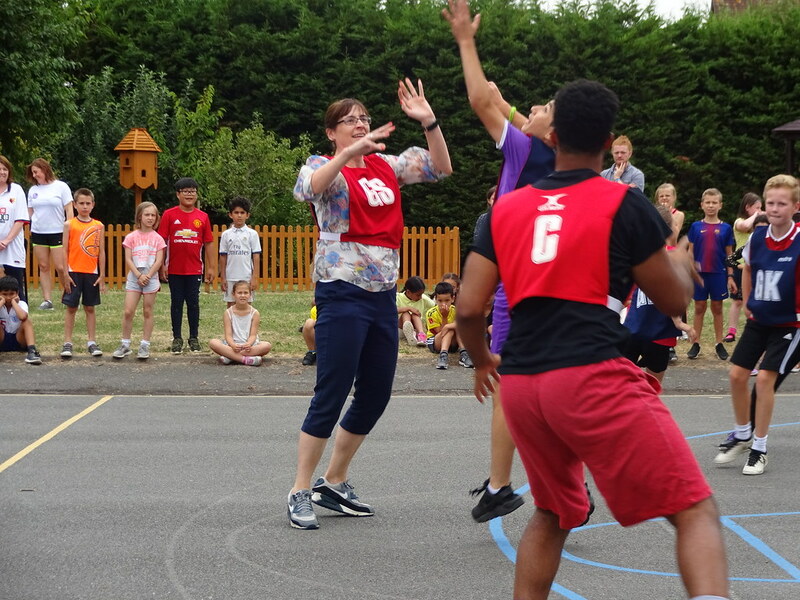 As part of this event, a netball match was organised with members of staff playing against children in Year 6. 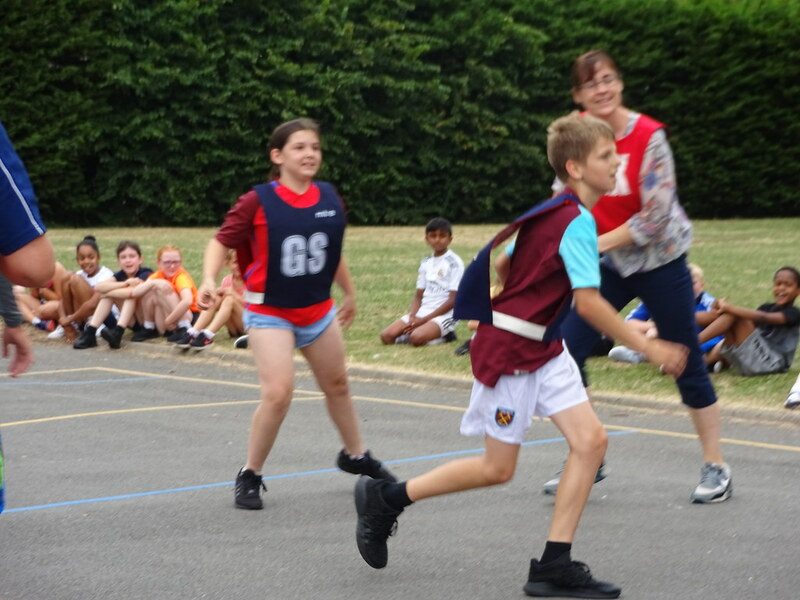 It was a very close contest but the Year 6 pupils won scoring 4 –3. Congratulations to Ms O’Sullivan who scored 3 goals for the staff team and to Billy Davis who scored all the goals for the pupils. 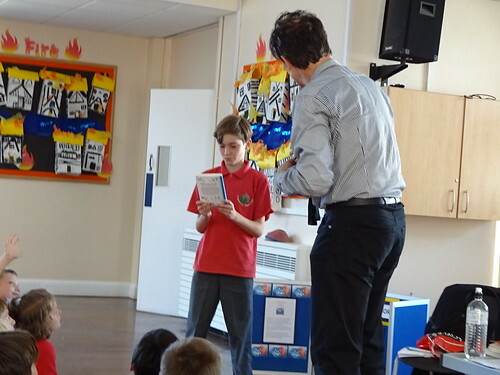 The Kenny Award is awarded annually to a Year 6 pupil just before they leave us to continue on to secondary school. 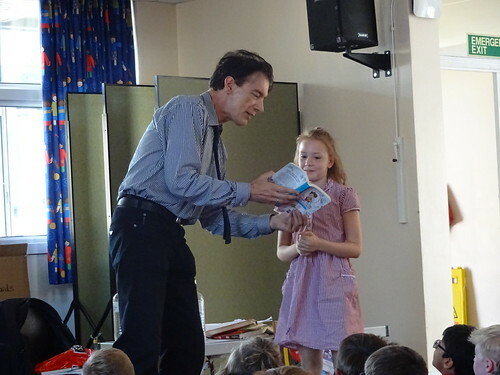 The award is kept at home by the pupil for one whole year. The Kenny Award is named after a past member of our office staff, called Pat Kenny, who sadly passed away. 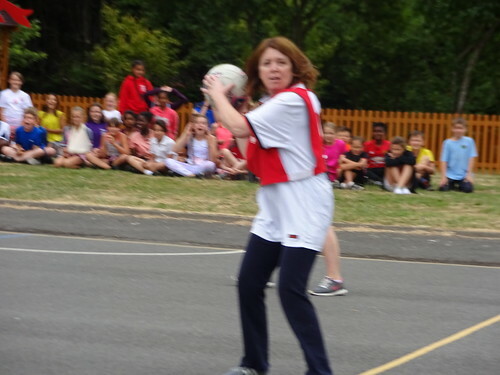 Pat Kenny was loved by all that knew her; she had a smile for everyone, was always kind and always considerate. 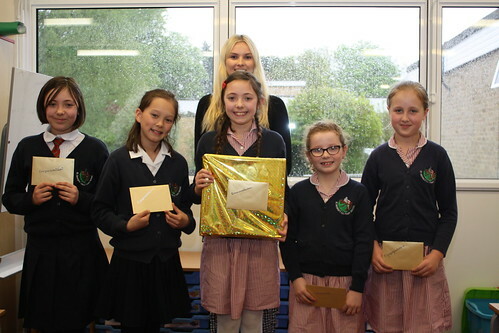 Every year, at the end of term, all staff vote for one child that they believe has the same qualities that Pat Kenny had. 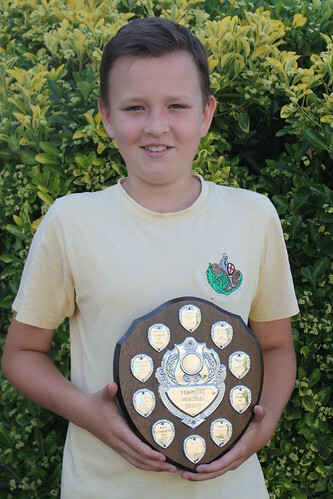 Congratulations to this year's very worthy recipient. 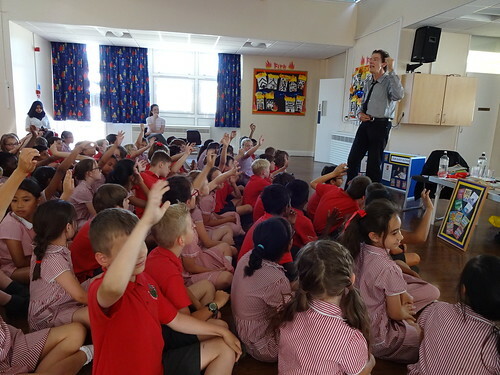 On Monday 2nd July 2018, Pete Johnson came to talk to our school in the afternoon. 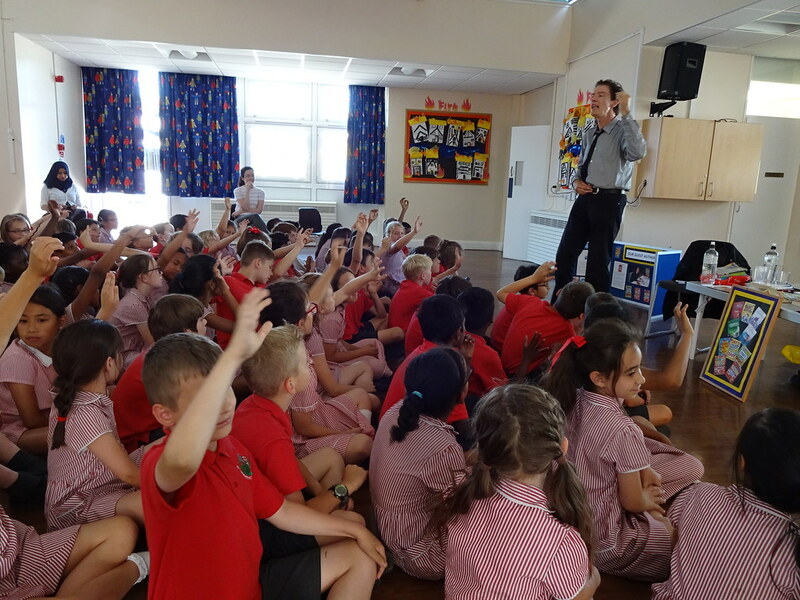 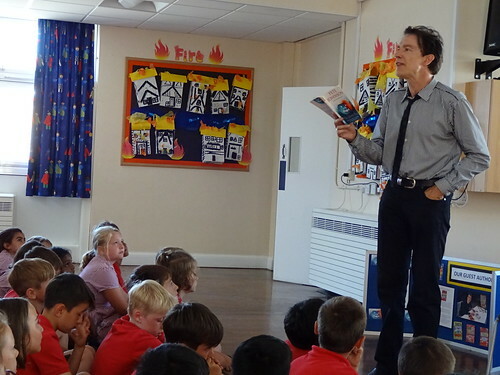 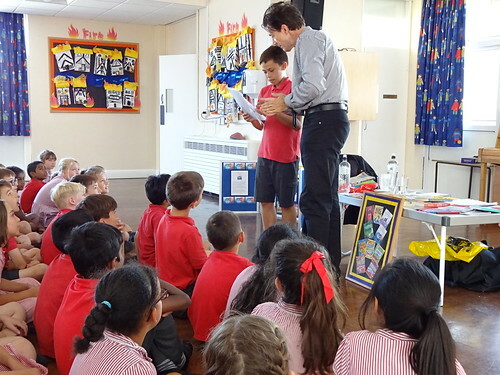 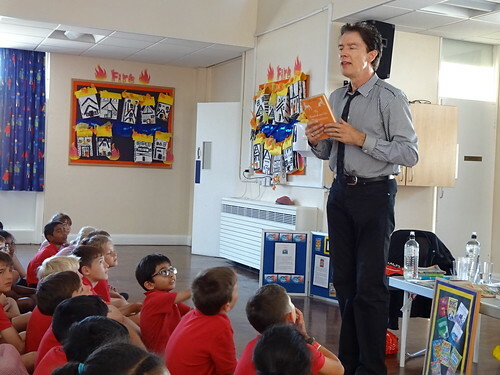 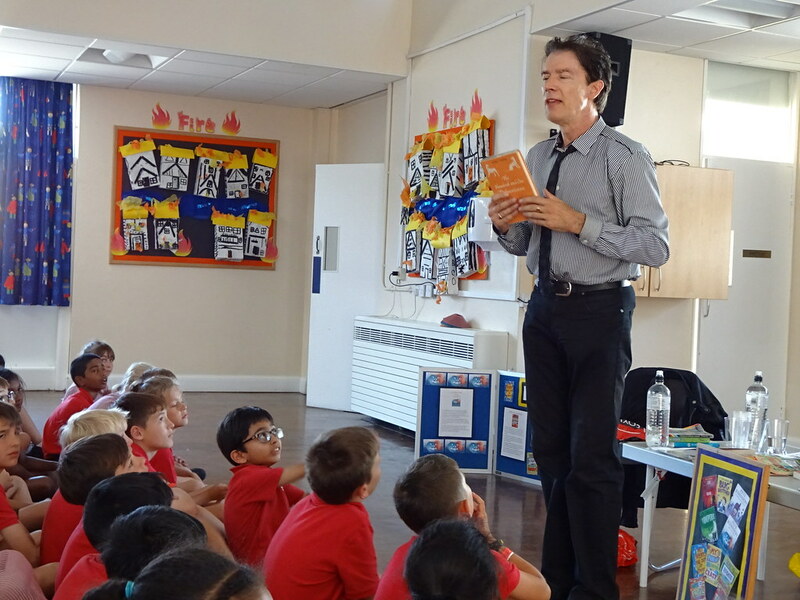 We were all in one room (Years 4 and 5) and Pete Johnson was telling us what inspired hime to become a writer/author. Well, he told us that the book 101 Dalmations was his favourite book and the author Dodi Smith inspired him because one day he wrote a letter to Dodi Smith and she answered back writing that he should become a writer, so he did. 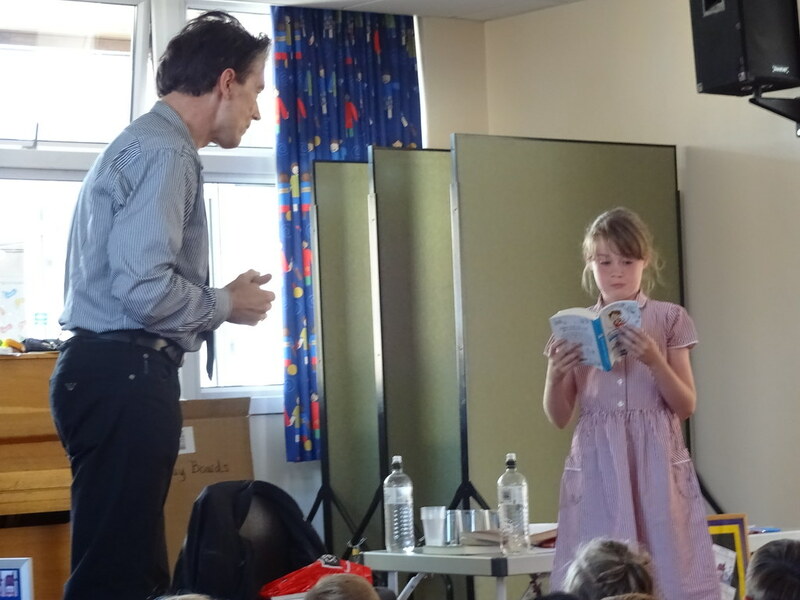 She kept encouraging him to carry on even when his work was rejected. 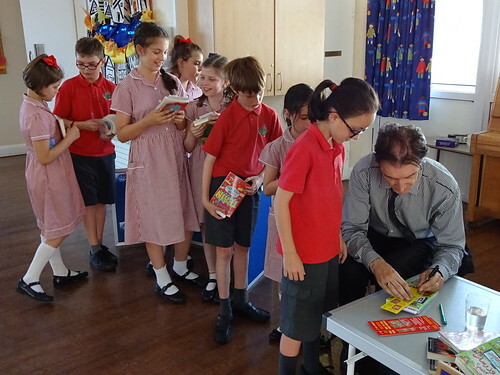 After that inspirational talk, he told us about his books and picked volunteers to answer his questions and gave prizes every time. 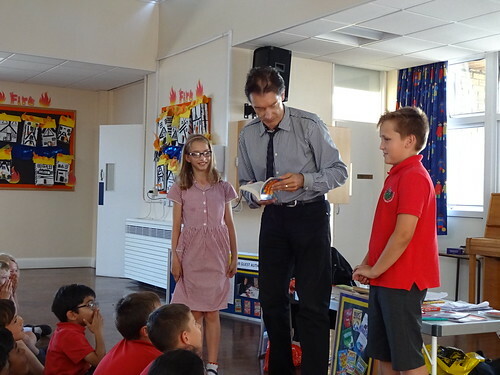 I was picked to say one thing that is embarrassing about my parents and I said, "My parents talk in Italian to English people" and I received a black handwriting pen for my prize. After that, he gave us a summary of each story and did book signing. 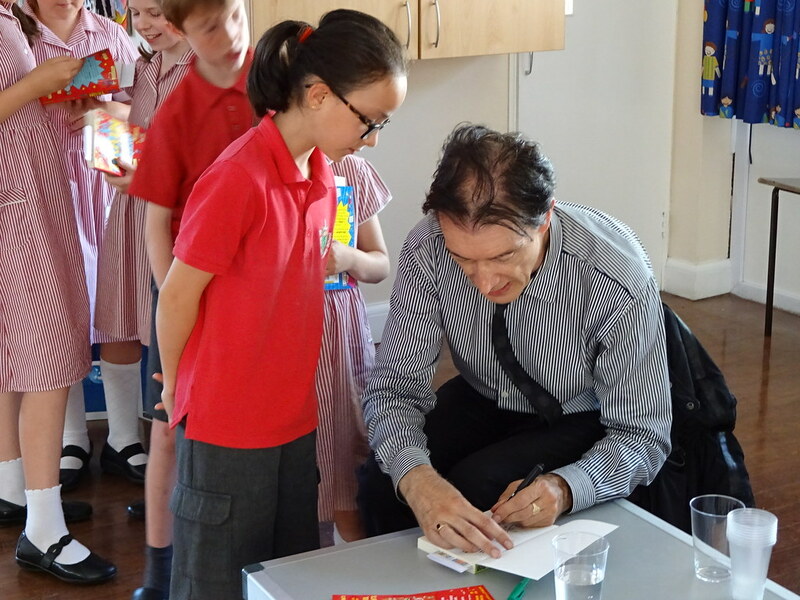 I ordered a book from him a few days later but he didn't have any left of the one I wanted so he have me his own ruined copy of The Ghost Dog and a FREE copy of the Vampire Blog. I was so lucky! Miranda completed a sculpture inspired by the London transport system. 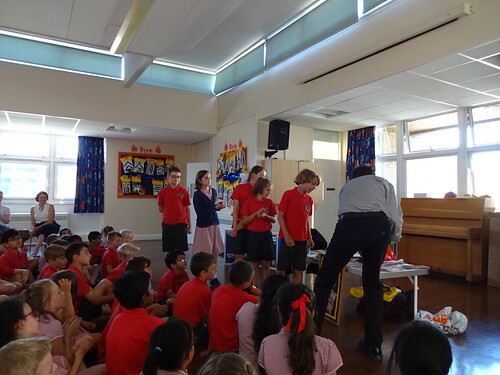 Her sculpture was a miniature traffic lights. Hanna created a 3D clay model of a school bag. She reminds us that adventure awaits us in London and no matter where we go, London will always be home for many. Rika painted an amazing scenic view of the River Thames and the buildings along it. She added fantastic detail and many famous landmarks can be seen in her painting. 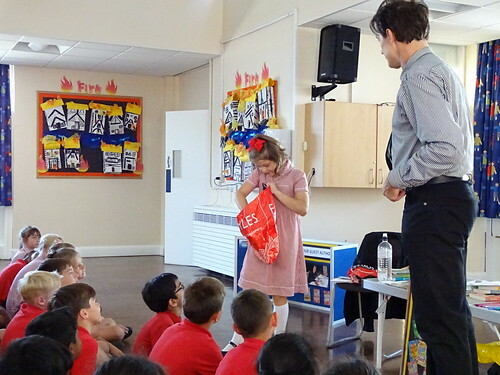 Vittoria created a huge 3D red phonebox, which is an iconic symbol of London. 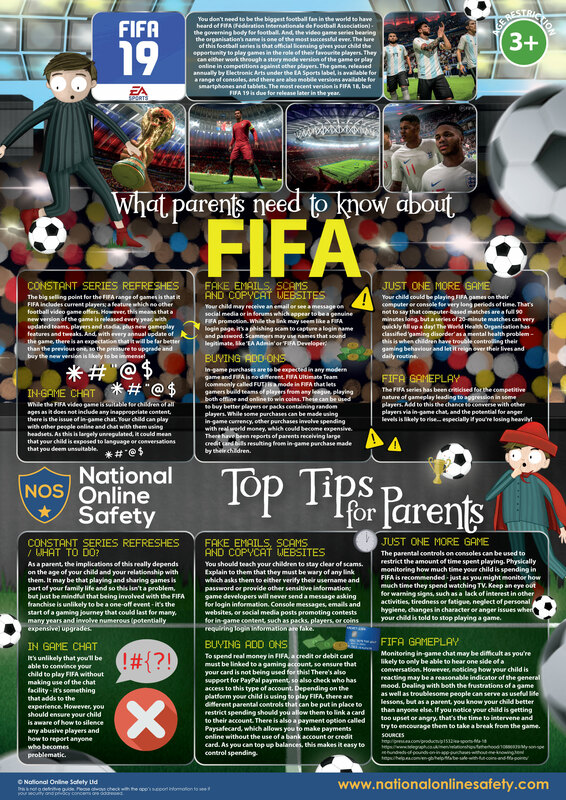 The attention to detail both inside and outside the piece is outstanding. 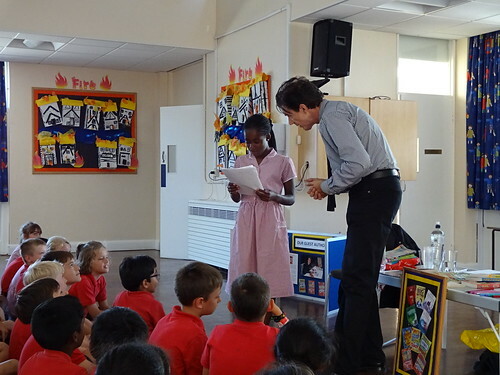 Vanessa created a beautiful carousel of what London means to her. She used an ordinary umbrella and the creativity is wonderful to behold. 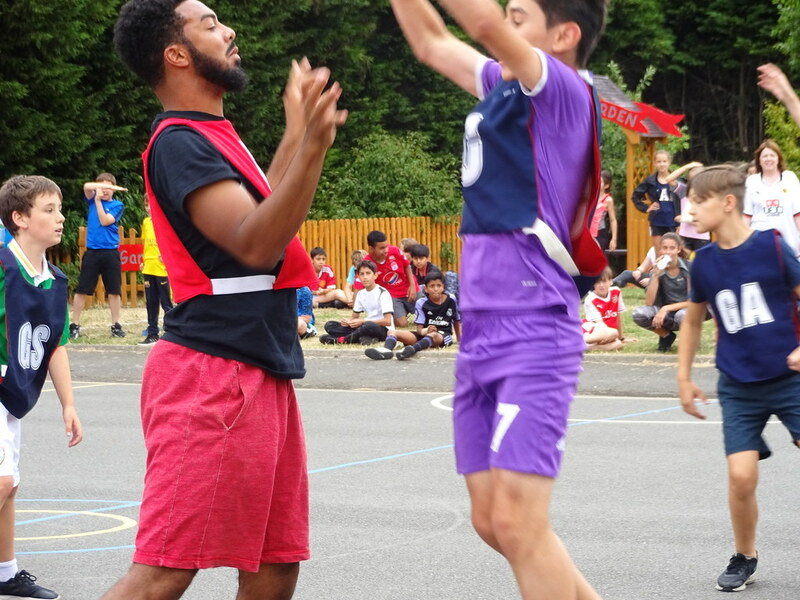 No matter what angle you view it from, you can see new aspects of the piece. 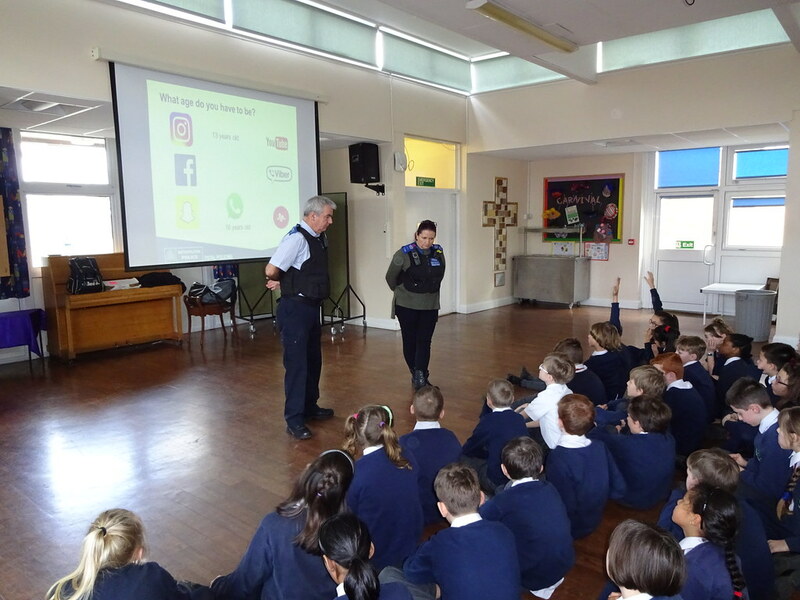 On 20th February 2018, a very informative and fun workshop was given by two Police Officers from Harrow. 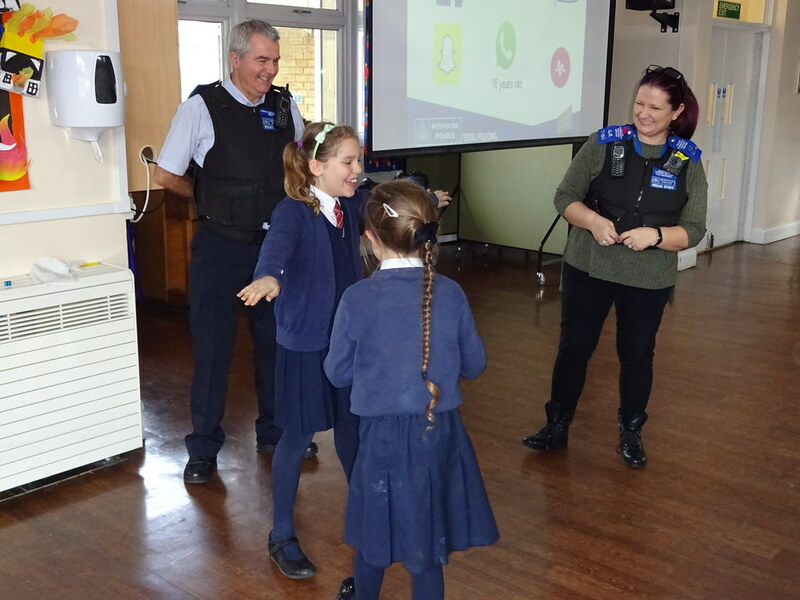 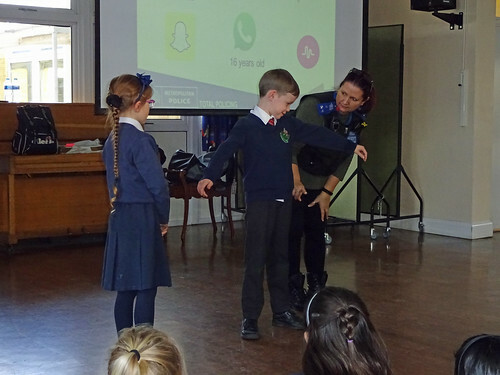 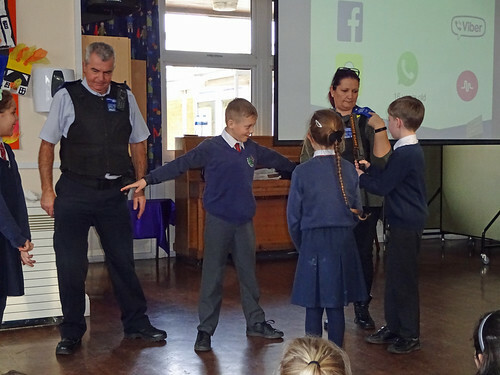 All of Year 5 attended and learned about how easy it is to get arrested if you're careless and the big risks of being cyberbullied. The two Police Officers, John and Lisa, told us about different ways that crimes are committed, like stealing for example. We learnt some surprising, new information from them, like the fact that from the age of 10, you are accountable and can be arrested! 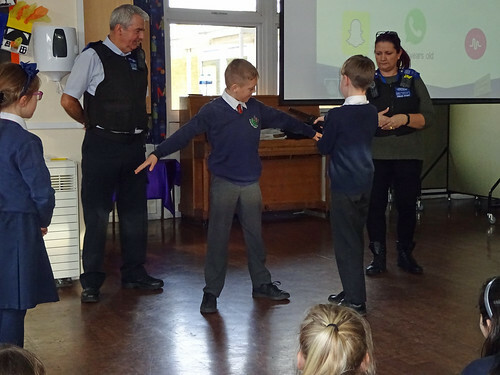 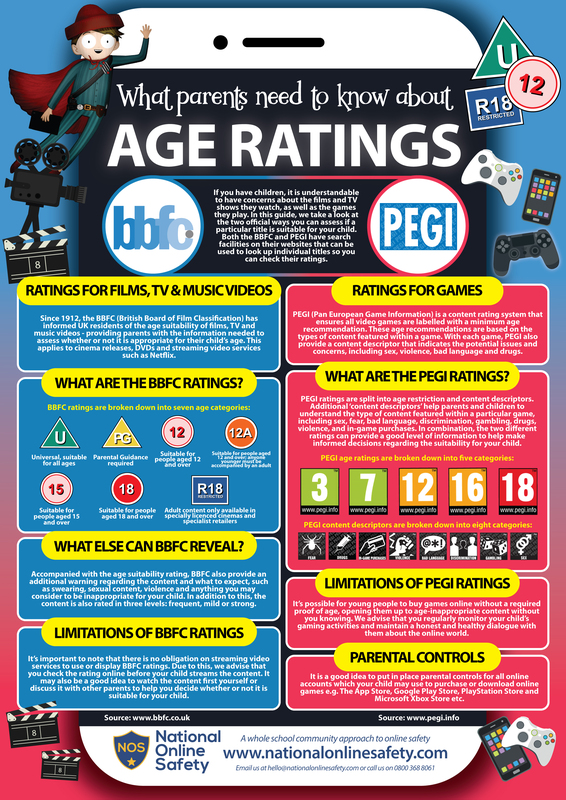 However, if you are 9 and commit a serious crime, you could still be put into juvenile prison. 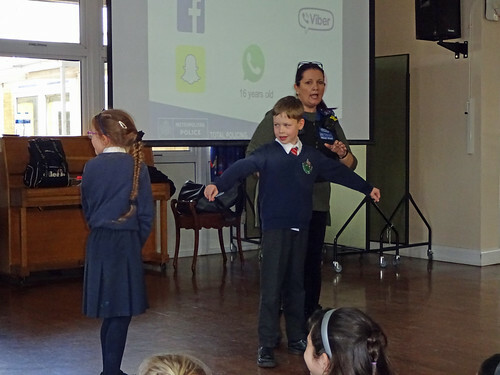 Lisa showed us a great Powerpoint presentation on cyberbullying and traditional bullying. 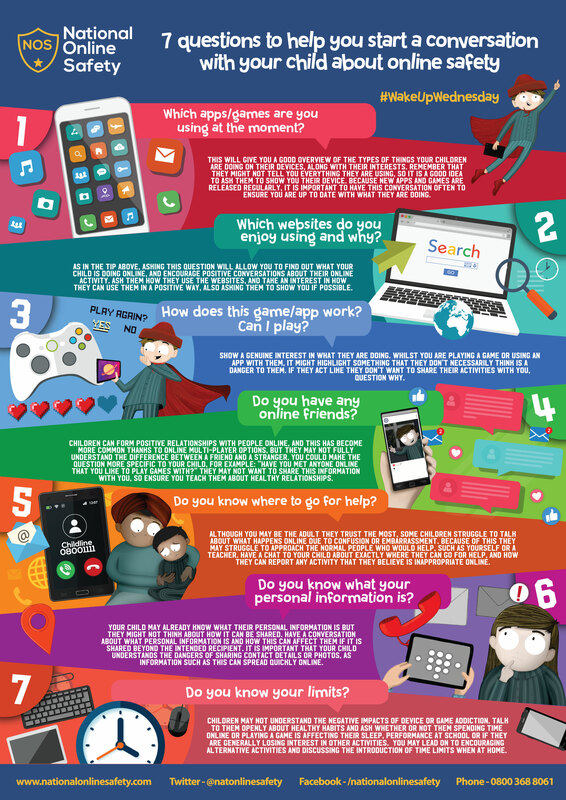 She also went through the ages that you need to be to have certain social media apps, such as Snapchat and Instagram, which is 13 years old, by the way! 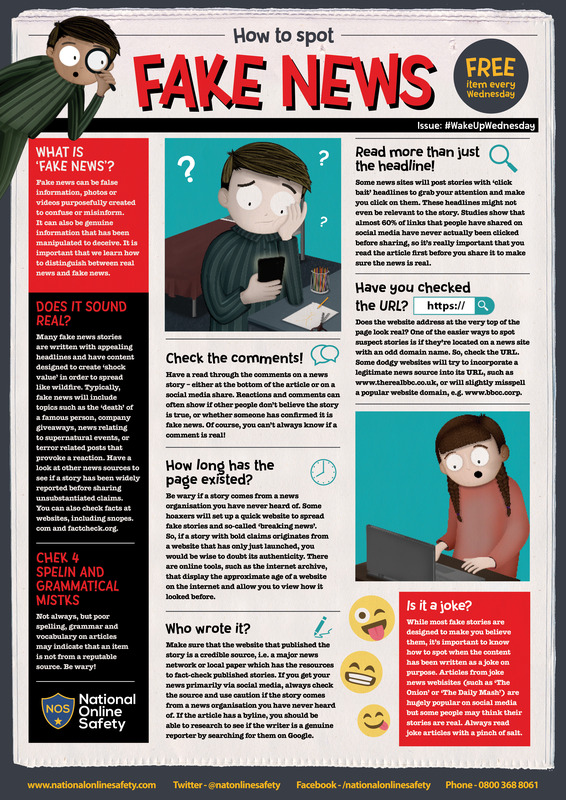 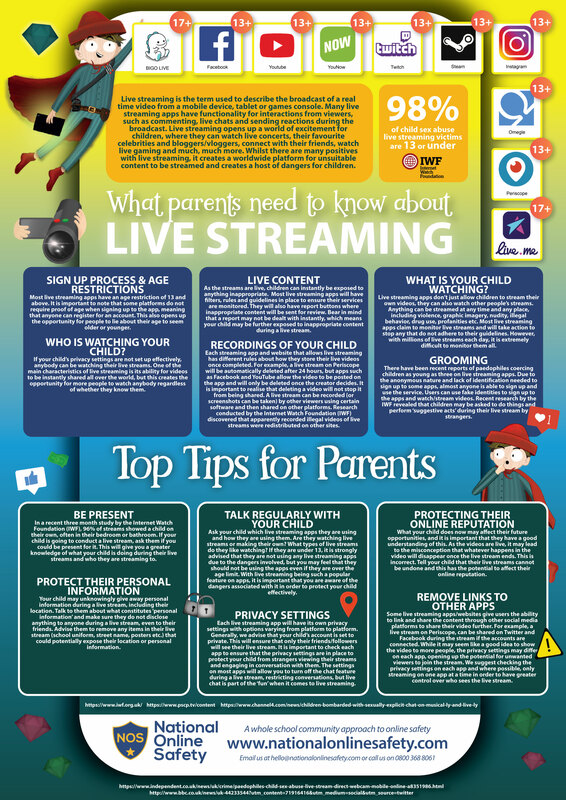 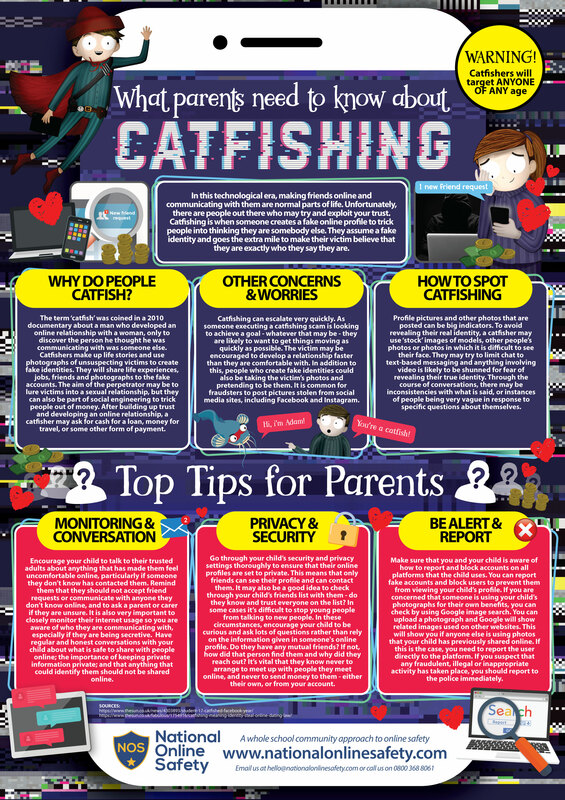 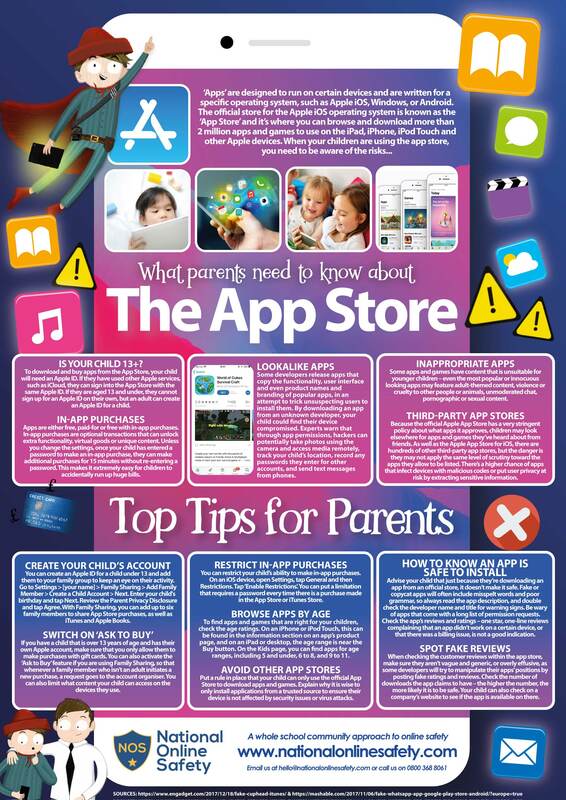 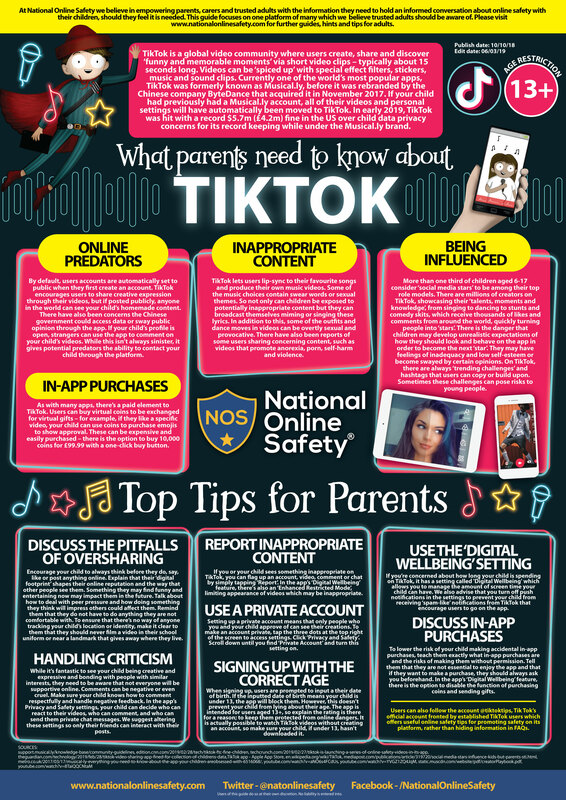 Lisa and John informed us that if you are found to be cyberbullying on social media apps and if you are under 13 years old, you are breaking the law. 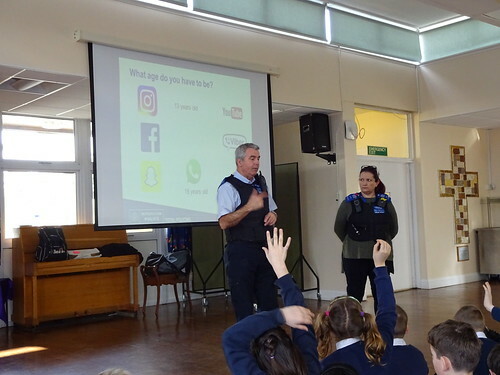 They also informed us about the process you go through if you are arrested. 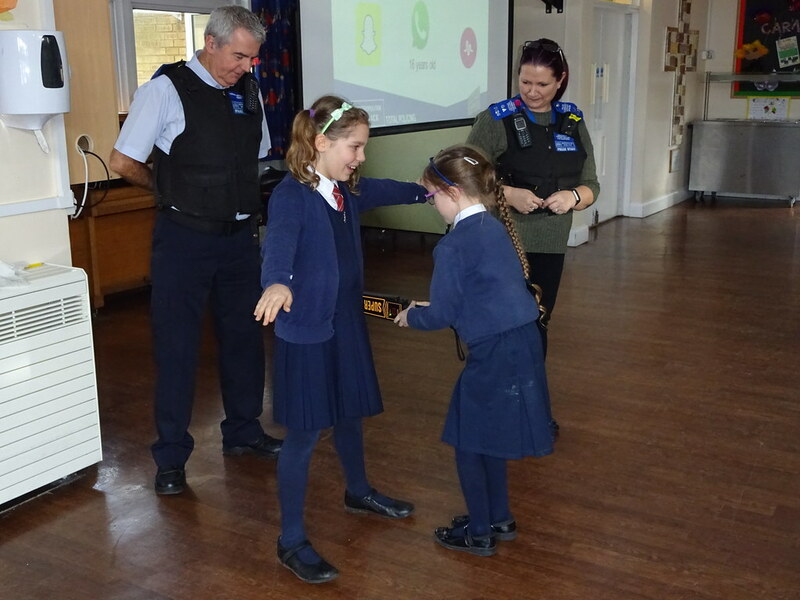 Towards the end, we put a metal detector into use, which was fun! 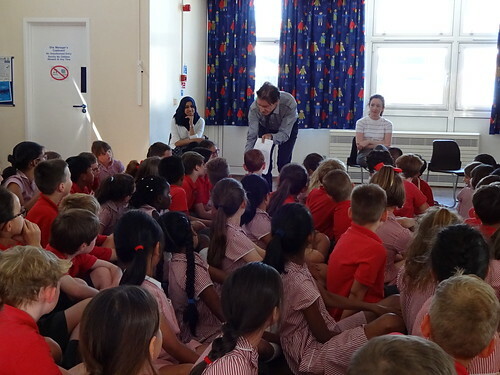 Overall, it was an exciting workshop and we definitely learnt lots of new information.